Gentoo Forums :: View topic - xterm-256color is not found. Posted: Thu Aug 16, 2018 11:14 am Post subject: xterm-256color is not found. After activating ~amd64, I've installed ncurses 6.1-r3 and 5.9-r101. xterm-256color used to work, but seems not working anymore. I have x/xterm-256color in my /usr/share/terminfo directory. I can simply export TERM="xterm", but I'm just curious why. 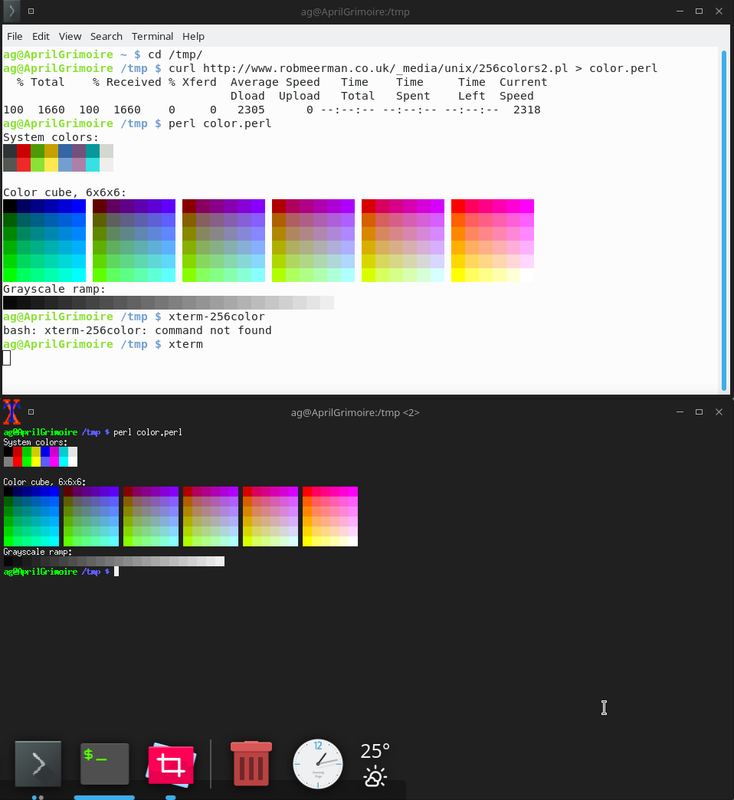 I've found that my xterm natively supports 256color. Here's a screenshot of the strange behavior. However, bash still considers xterm-256color as $TERM. What's the cause of this problem? Should I create a symlink of xterm-256color to xterm?